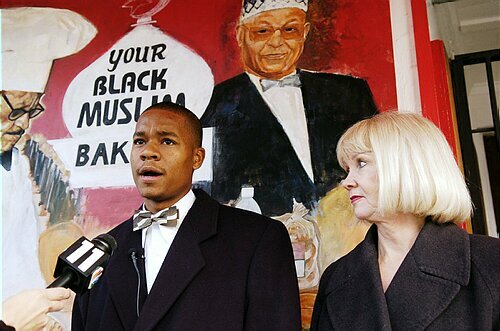 OAKLAND — A prominent defense attorney will be fighting to keep her law license Tuesday, the latest twist in the saga of Your Black Muslim Bakery leader Yusuf Bey IV’s alleged plot to kill witnesses in the murder of an Oakland journalist. Lawyers for the State Bar of California are scheduled to tell a judge in San Francisco that Lorna Brown, 67, of Berkeley, should be disbarred for smuggling from jail a list of people allegedly marked for intimidation or killing. The people on the list were witnesses against Bey, whose convictions for ordering the murders of journalist Chauncey Bailey and two other men in 2007 brought down one of Oakland’s most notorious crime syndicates. The Bar’s proposed discipline against Brown is reserved for the most severe cases of misconduct — less than one percent of the state’s 178,000 active lawyers were stripped of their licenses in 2011. Brown has admitted that she took Bey’s handwritten notes out of the Santa Rita Jail in March 2010, hiding them in legal papers that guards weren’t allow to search because of attorney-client privilege. She’s also admitted passing the papers to a member of the Bey family on an Oakland street corner and lying to investigators when first questioned about it. But Brown said in legal papers that she thought the documents were only love letters to Bey IV’s girlfriend and “spiritual teachings and sermons” meant for his mother. No witnesses were harmed and no one has ever faced criminal charges directly connected to the list, although a Superior Court judge removed Brown as Bey IV’s lawyer. Popoff was jailed on a parole violation for nearly a year. Brown eventually ended up facing ethics violations filed by the State Bar. She agreed to a two-year suspension of her law license in 2011, but the California Supreme Court rejected that deal last year, setting up Tuesday’s administrative trial. The justices have the final say on all attorney discipline matters. Since Brown has already admitted to hiding Bey IV’s writings in routine legal papers that guards aren’t allowed to search and lying about it when first questioned, the trial before Bar Court Judge Patrice McElroy will focus on how she should be punished. Supreme Court justices “felt (Brown) needed more discipline,” said Diane Karpman, a former Bar Court referee who’s followed the case. State Bar attorneys will argue that Brown should be disbarred. According to legal papers, Brown’s attorney Ephraim Margolin will argue that Brown deserved the two-year suspension that the Supreme Court already rejected. He did not return phone calls. Margolin is likely trying “to build a better record” of Brown’s side of the story, Karpman said, one to make the justices accept a sanction short of disbarment. Several Alameda County prosecutors and investigators are on the Bar Association’s witness list. District Attorney Nancy O’Malley was included, but is not expected to testify, her spokeswoman said Friday. Neither Bey IV, who is serving three consecutive life terms in state prison with no chance at parole, nor Popoff, 45, who was jailed on $100,000 bail after being arrested on theft charges in Berkeley last month, are expected to testify. Brown might not be facing disbarment if she had stuck to an informal deal made with O’Malley after the plot became known. O’Malley agreed not to charge Brown with a crime if she agreed to retire from practicing law, the district attorney said in an interview last year, explaining that she didn’t want a possible criminal case against Brown to interfere with Bey’s murder case. Brown agreed, but then reneged after the statute of limitations on the smuggling charges expired. O’Malley then referred the case the State Bar for ethics violations. Ironically, Brown could become the second attorney deeply involved in the Bailey murder case to lose a law license. LeRue Grim, 85, the San Francisco lawyer for Bailey’s confessed killer, Devaughndre Broussard, was disbarred last year after a judge found that he accepted payments from clients without doing any work and disobeyed orders from judges. Those cases weren’t related to Broussard’s defense. Reach Thomas Peele at Tpeele@bayareanewsgroup.com; follow him at twitter.com/thomas_peele. W/ the help of this and the rest of the stooge press to spin this latest ‘Dark Alliance’ episode as ‘black on black violence’, when there’s a story to bury along w, the Post editor about extorting black clubs for the quarter million dollar salaries for some of our local cops enjoy, aiding and abetting murder (w/o a statute of limitations) DOESN’T EVEN MERIT AN INFRACTION if you’re on the right side of the color line like Judge Brown or former Chief Tucker or DA Orloff, who, along w/ Bailey murder principal Longmire, didn’t ask ‘the lone gunman’ what “We smoked some coke on the way down to ambush him” meant!